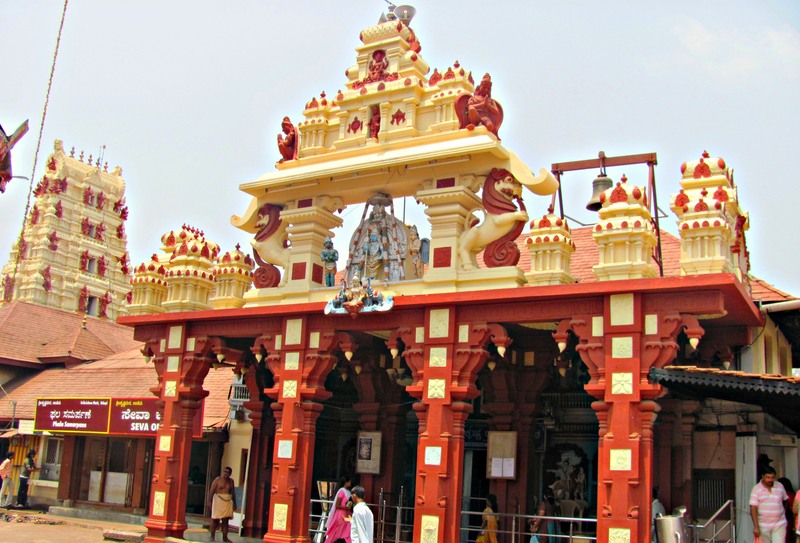 Udupi Sri Krishna Matha is a famous Hindu temple dedicated to god Krishna located in the town of Udupi in Karnataka, India. 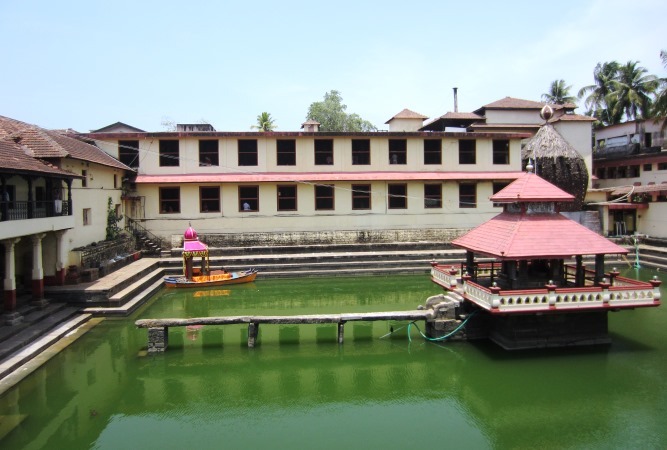 Udupi Anantheshwara Temple which is over a 1,000 years old is near the matha. Founded by theVaishnavite saint Shri Madhwacharyain the 13th century, the temple is a very good example of simplicity and beauty combined. Once Kanakadasa, a very religious worshipper of Lord Krishna, was staying in a hermitage in front of Krishna Mutt. There was an earthquake at night and the outer temple wall cracked such a way that Kanakadasa could only see the idol. Even today, worshippers and devotees of Lord Krishna come and visit the opening, which is now a window. The offerings are given only through the window, also called as KanakanaKindi. The sight of the beautiful idol of Lord Krishna is available to everybody through the Kanakanakindi. The daily offerings to god and administration of the Krishna Mutt are managed by the eight monasteries. They are collectively known as the Ashta Mathagalu in the Kannada language. These eight Mathas are Pejavara, Puttige, Palimaru, Adamaru, Sodhe, Kaniyooru, Shirur and Krishnapura.The Krishna Matha is known throughout the world for its religious customs and traditions. Festivals like Makara Sankranthi, Ratha Sapthami, Madhva Navami, Hanuman Jayanthi, Sri Krishna Janmashtami, Navaratri Mahotsava, Madhva Jajanti (Vijaya Dashami), Naraka Chathurdashi, Deepavali, Geetha Jayanthi etc. are celebrated with pomp and grandeur every year and are a treat to the eyes. Lord Krishna said, “Fear Not. What is not real never was and never will be. What is real always was and cannot be destroyed”. Really, this sentence comes true in case of this temple as well. The temple, the beautiful idol and the elegance and simplicity of the temple are indeed real and indestructible. By Air: Mangalore airport is one of the nearest airports to the city which is about 50-60 km away. You can take direct or indirect flights from the airport to various destinations. You can take taxi, bus or any other mode of transportation to reach airport comfortably. By Rail: This city is well connected with rail network which make your journey comfortable and easy. By Road: People can get bus service, taxi, cab to reach the city. Roads are linked to major cities which can be covered with the availability of various luxurious buses and passenger buses. Auto-rickshaws are also available to roam around the city. Thousands of devotees visit the temple from different parts of the country all the year round. Resembling a holy ashram, the temple is known globally for its religious customs, traditions, and the upholder of Tatvavaada philosophy or Dvaita. It is also the hub of Daasa Sahitya. 1. Nirmalya visarjana Puja 5-30 a.m.
2. Ushakala Puja 6-00 a.m.
3. Akshya patra-Gopuja 6-15 a.m.
4. Vishwaroopa Darshana 6-20 a.m.
6. Udvartana Puja 7-00 a.m.
7. Kalasha Puja 7-30 a.m.
8. Teertha Puja 7-40 a.m.
10. 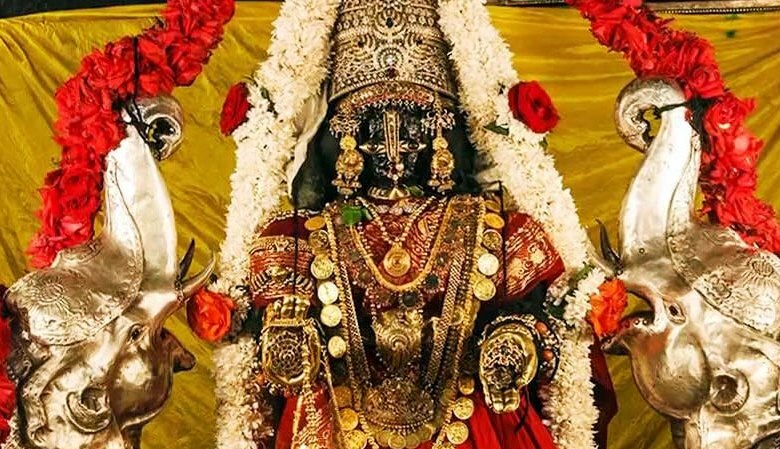 Avasara Sanakadi Puja 10-30 a.m.
12. chamara Seva 7-00 p.m.
16. Thottilu Puja 8-30 p.m.
17. Kolalu Seva 8-40 p.m.
18. Ekanta Seva 8-50 p.m.